Kampala, Uganda | THE INDEPENDENT | The Speaker of Parliament Rebecca Kadaga has met the Makerere University Vice-chancellor Prof. Barnabas Nawangwe. The closed-door meeting between the two and a few other Parliament officials took place on Friday at the Speaker’s boardroom. 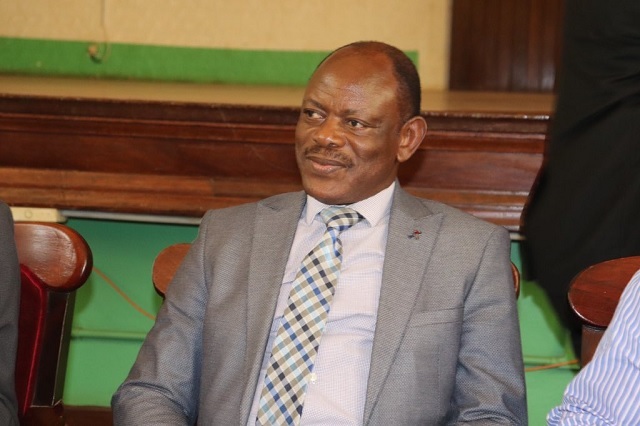 When asked by URN in a telephone interview about the meeting, Prof. Nawangwe said the meeting was not about the on-going impasse at Makerere University. He says that they discussed about the performance of the institution globally and the preparations to mark 100 years of existence of the institution. “It was good; all I can say is that it is good. It was a courtesy call to the Speaker and this is something we usually do. It was about 100 years of Makerere and many other things but not about the strike. “Nawangwe said on phone. Asked further to clarify if they discussed matters of the strike at the University, Nawangwe said he couldn’t divulge anything more. Chris Obore, the Parliament Director of Communications said that he wasn’t aware of the meeting. Last month Prof. Barnabas Nawangwe suspended Professor Deus Muhwezi Kamunyu, the Chairperson Makerere University Academic Staff Association – MUASA, Bennet Magara, the Chairperson Makerere Administrative Staff Association and his General Secretary, Joseph Kalema for alleged indiscipline and inciting of staff.